Are you literally facing a problem while sleeping? Whenever you are up to sleep in the night does it take hours to fall asleep? Really it’s painful when someone beside you is in deep sombre and you are simply juggling from one side to another to get that desired sound sleep. Honestly, there are some causes that are obstructing your sleep. Just read the following to know what is actually depriving you of sleeping. You need to make sure that your bedroom is cosy enough and confirm that your bedroom does not have night lamps on during the night. In addition to that, you should not have too high or low temperature make sure that it should be possibly room temperature. Sometimes when you are about to rest and sleep a shrill noise might distract you. It can either be from your TV or the loud bass of the music player. Now, these subtle distractions might affect your sleep seriously. Try concentrating on the white noise, which is the noise produced by the combination of different frequencies of sound. As white noise combines all the frequencies it tends to veil the remaining sounds. It is scientifically proven that white noise induces sleep. Wrong sleeping postures affect your muscles, making them sore and even causing back pain. This could be because of the cheap quality mattress which does not provide support to the pressure points. The blood ends up coagulating on certain body parts causing numbness. Therefore take out time to rethink about changing the mattress. It is a fact that awakening in the morning with the sunlight penetrating harshly to your room really keeps you dizzy for the entire day. Therefore you should try some good quality curtains especially thick cotton ones to prevent the light from striking your eyes. 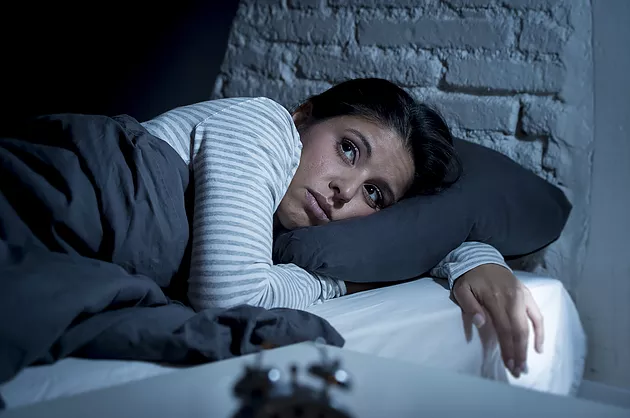 Devices like laptops or mobiles actually prevent the secretion of hormones like melatonin which makes you get to sleep which is why you should keep these gadgets at bay just after dinner. Drifting away from bed at different times does not sound good at all. If you wake up at a fixed time every day, then your brain is actually aware of when to wake you up. A sleep cycle sets automatically enabling you to start fresh every day. Set up an alarm and wake up instantly. It may be hard for a few days, but it will definitely be better for the long run. Those who are a parasite on sedatives need to stop right now. This is because they are quite harmful to you rather than do good. Most of you have seen that after having a lunch you tend to feel sleepy. That is because melatonin takes a peak in those hours. Well to fight that you can take 15 minutes nap which gives you the energy to work with full zeal. At the same time, you have a nice sleep in the night as well. Why should you buy a good mattress? You can buy any of the mattresses Memory foam, Pocket spring, Orthopedic depending on your body’s requirements. Make sure they are of the best quality, after all best rest earns best health. For those who love to sleep sideways should get a soft mattress to provide more padding to your shoulders. 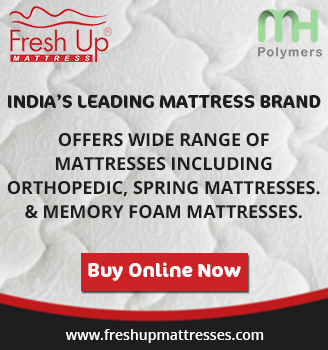 Fresh Up has great range of orthopedic mattresses that help the sleeper to get support on body’s pressure points and correct alignment of spine.